St. Paul’s is blessed to have very active youth. Our Youth enrich our congregation and spritual life. YOUTH SERVICE! Sunday November 10th – Youth Sunday was a BIG success! 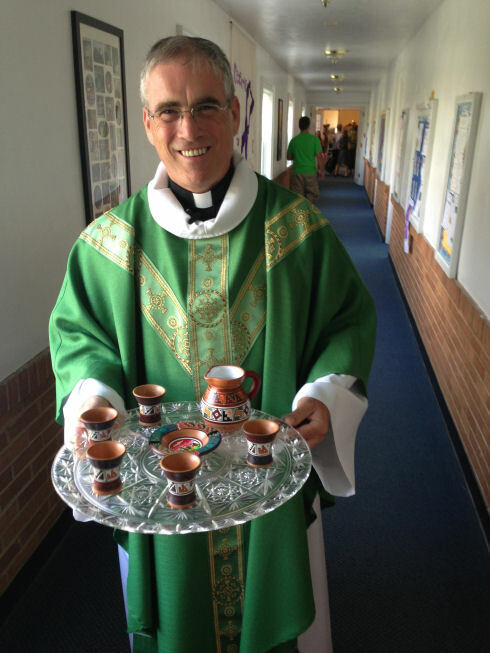 Pastor displays the communion set; gift from the 2013 Peru mision trip host church.